We all know Popeyes for their Louisiana-style Cajun chicken, but the story behind the brand is even spicier. Founder Al Copeland opened his first chicken joint, Chicken on the Run, in the New Orleans suburb of Arabi, La. in 1972. Initially, he was serving mildly spicy chicken but quickly realized it needed a fiery kick to attract Louisiana taste buds. The original slogan for Chicken on the Run was “So fast, you get your chicken before you get your change”—a precursor to Popeyes current, more straight-forward slogan, "Louisiana Fast." 2. POPEYES WASN'T NAMED AFTER THE SAILOR MAN—SO THEY SAY. Although Copeland claimed he named the chicken chain after Jimmy “Popeye” Doyle, the detective from the 1971 movie The French Connection, Popeye the Sailor Man was very involved with their marketing. 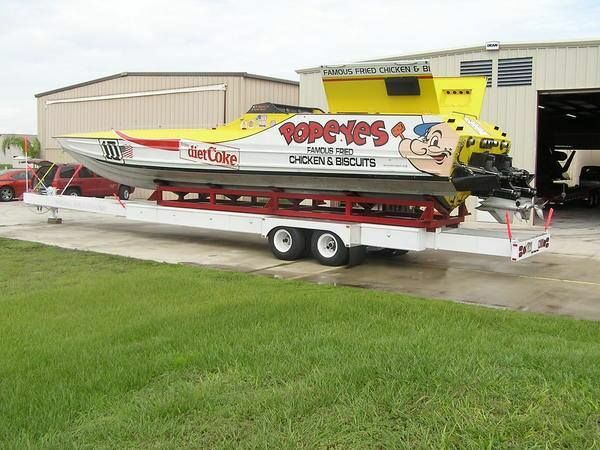 Popeyes sponsored the Popeye and Pals children's show in New Orleans, and the macho caricature appeared on items from packaging to Copeland’s racing boats. It was only recently, in November 2006, when Popeyes franchisor AFC announced the termination of their licensing contract with the Popeye and Pals owner, that the longstanding association with the Popeye character ended. 3. POPEYES' OWNER WAS A BALLER, BUT HE COULDN'T AFFORD AN APOSTROPHE. Al Copeland grew up as the youngest of three children to a single mother in a household where money was always tight. He dropped out of high school at 16 and took a job at his brother’s partially owned donut chain, Tastee Donut, which exposed him to the restaurant business and the concept of franchising. Later in life, Copeland would own multiple restaurant chains, comedy clubs, and hotels, but the memory of growing up on welfare and living in housing projects never left him. He lived ostentatiously, flaunting his racing boats, driving Rolls-Royces around New Orleans, and having four lavish weddings (at least one of which had heart-shaped fireworks). But despite his wealth, Copeland could always find the humor in his previous financial situation—he often claimed that he was "too poor" to afford an apostrophe for the restaurant's name. 4. AL COPELAND LOVED CHRISTMAS WITH A PASSION. Copeland was well-known for going full-on Clark Griswold with his annual Christmas lights display. Every year, families from around New Orleans would gather to see his array of elaborate lights, foreign cars, and partake in free popcorn, candy, and children’s toys. His extravagantly decorated yard was even featured as a top-three Christmas display on the Today show in 2003. But it wasn't all blinking lights and reindeer—Copeland was also known as a "Secret Santa," someone who would quietly fund gifts for underprivileged children each year. 5. POPEYES DIDN'T ALWAYS OWN THEIR SEASONING. Most people have heard of music royalties, but spice royalties? Perhaps not. Due to a bankruptcy reorganization in the early '90s, Copeland was forced to step down as chief executive of Popeyes, but he maintained ownership of food manufacturer Diversified Foods and Seasonings, a company he started in 1984 which provided various batters, biscuits, gravies, sauces, etc. to the franchises. 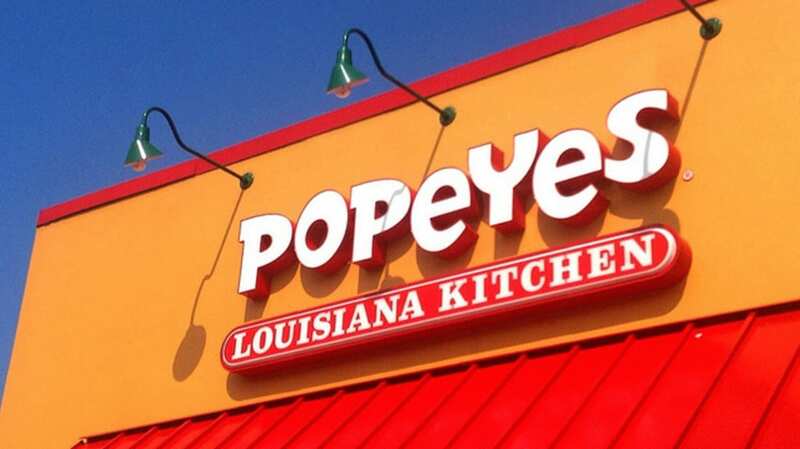 DFS owned the rights to several of the classic Popeyes recipes, so for 23 years the chicken chain paid DFS a $3.1 million “spice royalty” fee to legally use the recipes. In 2014, Popeyes came to a $43 million agreement with DFS, effectively buying back their own product. 6. THE POPEYES SPOKESWOMAN'S NAME IS ANNIE. 7. BEYONCE HAS A LIFETIME SUPPLY OF POPEYES CHICKEN. Popeyes has many celebrity fans, spanning from baseball great Hank Aaron to Kylie Jenner. But perhaps their most notable fan is Beyoncé. In 2003 she told Oprah that the chain had heard about how much she loved their food and gave her a free-Popeyes-for-life card. And, rumor has it that she even had Popeyes chicken at her wedding to Jay Z (a story the chain has no problem referencing, whether factual or not). 8. THE POPEYES JINGLE HAS BEEN SUNG BY LOCAL LEGENDS. Popeyes has some major music cred in terms of who has sung in their ads. Two of the most notable New Orleans musicians—NOLA funk and R&B grandmaster Dr. John and early rock great Fats Domino—have both been showcased in commercials. Dr. John growled the catchy "Love that chicken from Popeyes" line in the '80s, and Domino contributed to their New Year's campaign in late 1987. Local zydeco band Rockin' Dopsie Jr. and the Zydeco Twisters have also contributed, and all these spokes-singers were on hand for the Popeyes 30th anniversary party in 2002. As they say on the bayou, that'd make a great gumbo ya-ya.